The Branco Weiss Institute publishes the best original and translated literature on education and thinking and learning skills. The Institute keeps Israeli readers informed of the most up-to-date topics in educational endeavors around the world, so they may serve as a platform for promoting innovative teaching and thinking methods in the educational system. 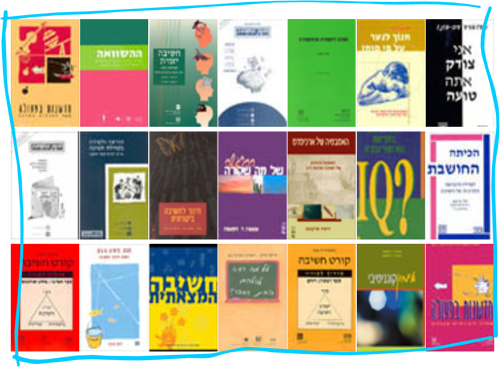 Here is a partial list of the books we have published in Hebrew. Creative Problem Solving / Donald J. Treffinger et al. Dimensions of Thinking / Robert J. Marzano et al. Informal Logic / Berg J.